Ala Longa is the new à la carte restaurant located at the Port 9 resort, in Croatia's gorgeous Korčula island. 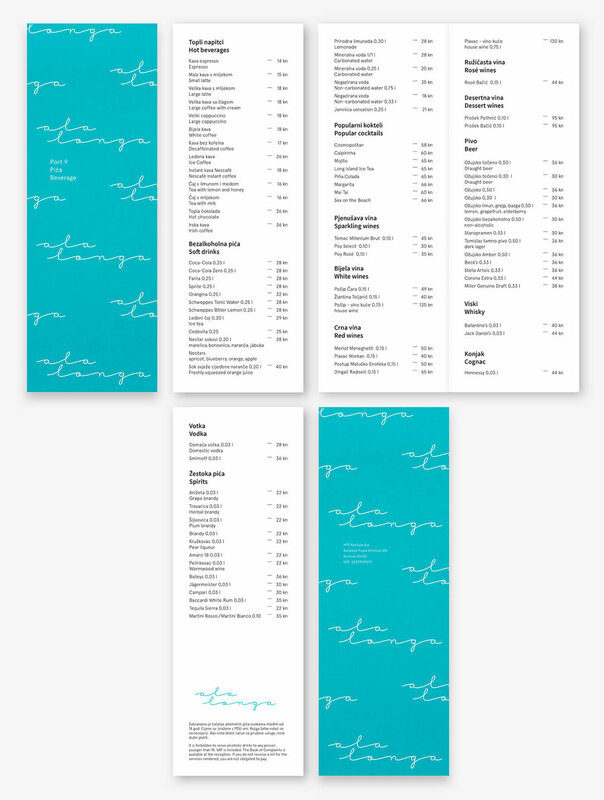 We were invited to design their new visual identity and a bilingual menu system. The idea for the logo draws inspiration from the restaurant's name - Ala Longa - meaning long and slow. Letters in the logotype are rhythmically elongated to look like sea waves, evoking feelings of relaxation and enjoyment. No need to rush anywhere, you're on a holiday. Memorable visual identity is easily established with a simple logotype pattern which brings out the feeling of sea waves with its repetetivneness. 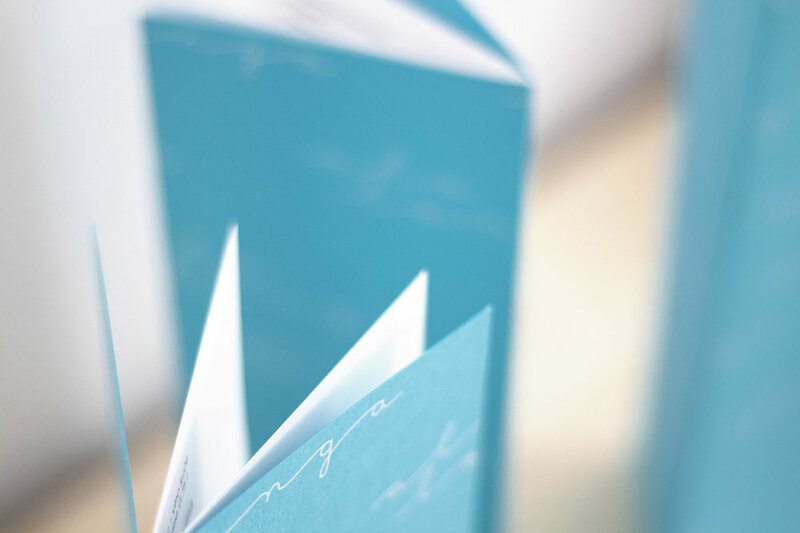 Menu covers are printed on a turquoise paper for an optimistic, summer, fresh look.